Get a better view of the battlefield as Mordheim: City of the Damned Enters Early Access Phase 6! Rogue Factor’s tactical RPG Warhammer adaptation, Mordheim: City of the Damned has entered Early Access Phase 6 on Steam, and several new features have been showcased in a new gameplay trailer. The trailer features Morheim’s brand new strategy view, which allows players to visually navigate a broader range of the city while in the middle of combat. Zoom in on all available units to better conceptualize the smartest plan of attack, and observe the surrounding terrain to gain the advantage in this player-devised visual tool. Phase 6 also promises both consumables and the introduction of the game’s economy. Equip the oil bomb for massive area-of-effect damage, or imbibe the Elven wine to boost critical resistance for two turns. Rogue Factor promises “a plethora of items designed to either inflict direct damage…or buff your units with magical properties. Mordheim’s economy will allow players to buy and sell equipment and loot while hiring on new units for their custom Warband. Set in the Warhammer universe, Mordheim offers tactical turn-based combat and intricate unit customization. Players must travel the four corners of the City of the Damned to defeat rival warbands and collect the fragments of Wyrdstone to gain power. 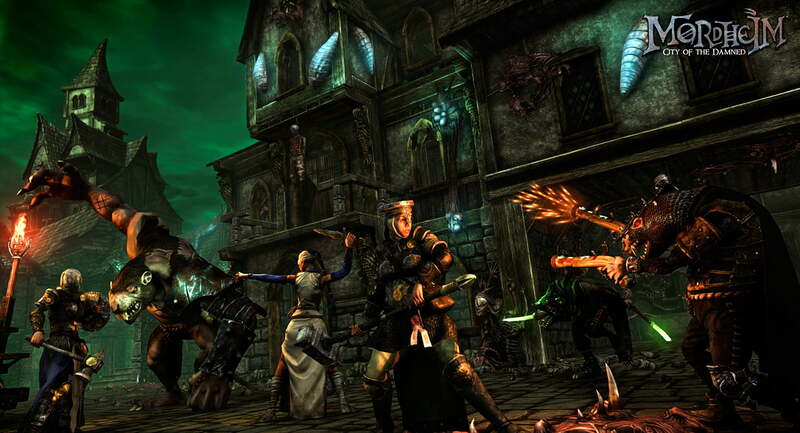 Choose from classic Mordheim factions – including Sisters of Sigmar, Possessed, Skaven, and Mercenaries from the Empire – to form your own Warband and take on the chaos surrounding the City of the Damned. Mordheim: City of the Damned is available on Steam and is currently on an Early Access Phase 6 sale of 33% off. Check out the trailer above!